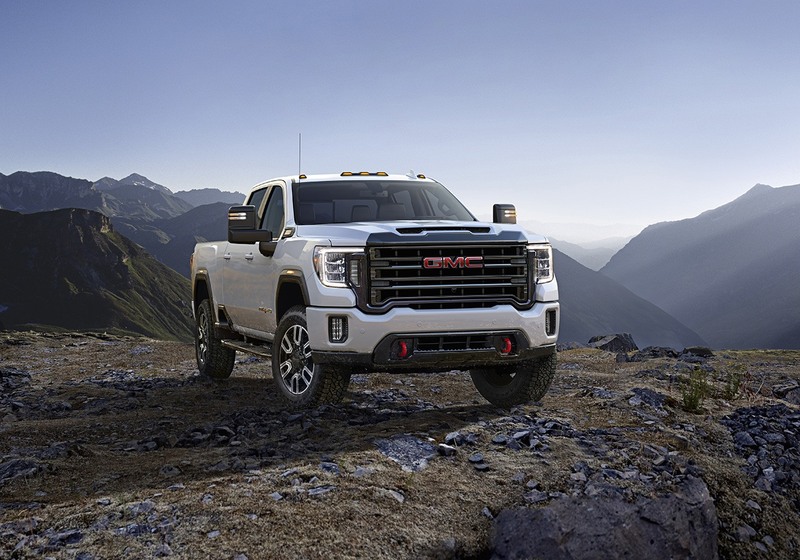 With the unveil of the 2020 Chevrolet Silverado Heavy Duty late last year, GM has pulled the curtain off the new 2020 GMC Sierra HD. The full specifications have not yet been announced but what we can tell you is that it will continue to use the 6.6L Duramax diesel V8 engine from the previous generation of Sierra & Silverado Heavy Duty trucks. That engine is good for 445 horsepower and 910 lb-ft of torque and it will now be mated to a 10-speed automatic transmission. 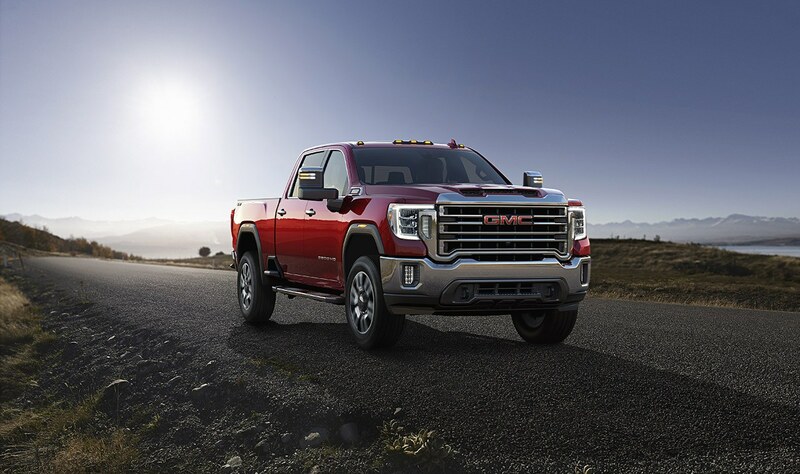 When properly equipped however, GMC says that the new Sierra can tow up to 30,000 lbs. 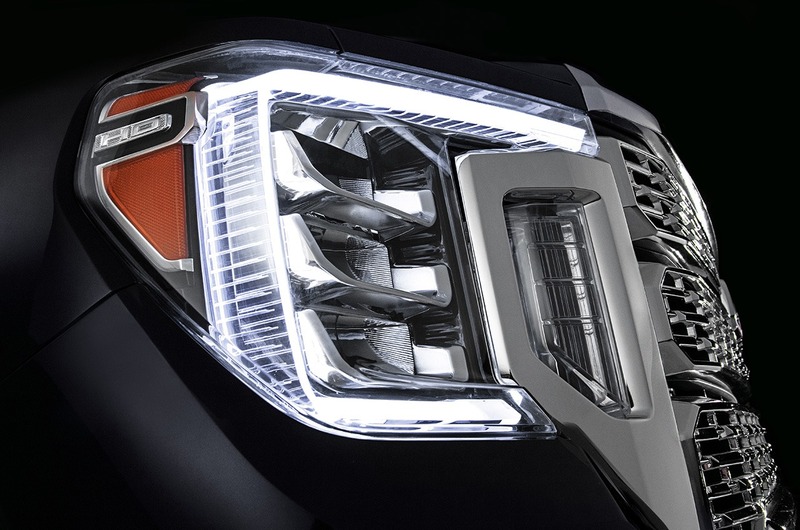 A brand new gas-powered V8 will also be available but GMC has not announced any specifications about the new engine. 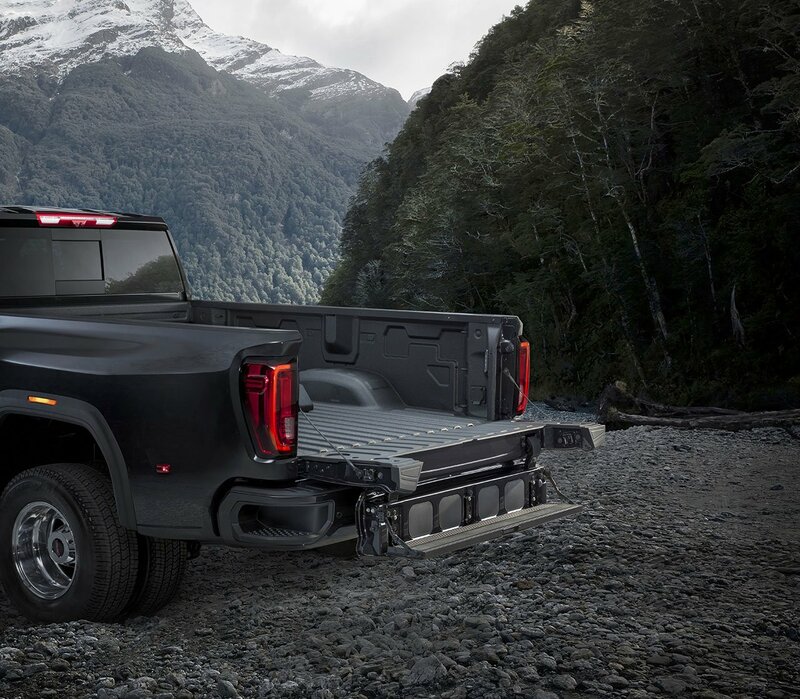 Just like the 2019 GMC Sierra 1500, the new Sierra HD will feature a larger bed with more tie down points. 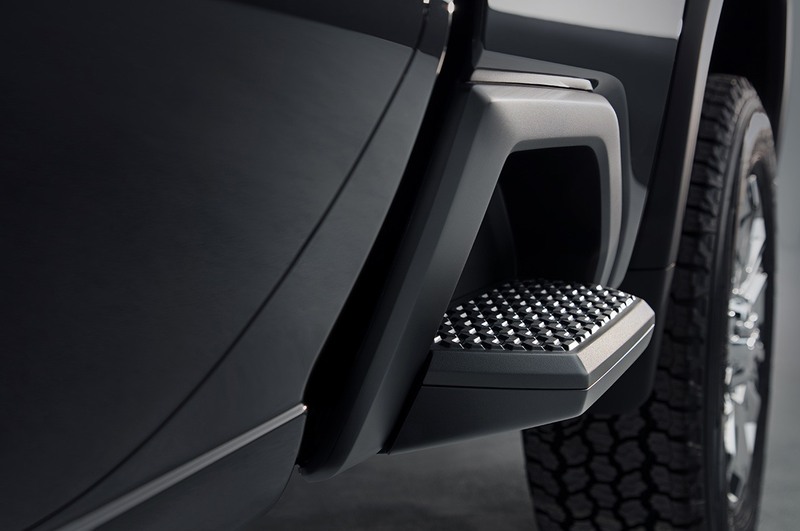 Getting in and out of the bed will be easier thanks to bumper corner steps as well as new side steps that are integrated into the bed just in front of the rear wheels. In addition to the new side steps, the MultiPro tailgate that was introduced on the Sierra 1500 will be available on the Heavy Duty. 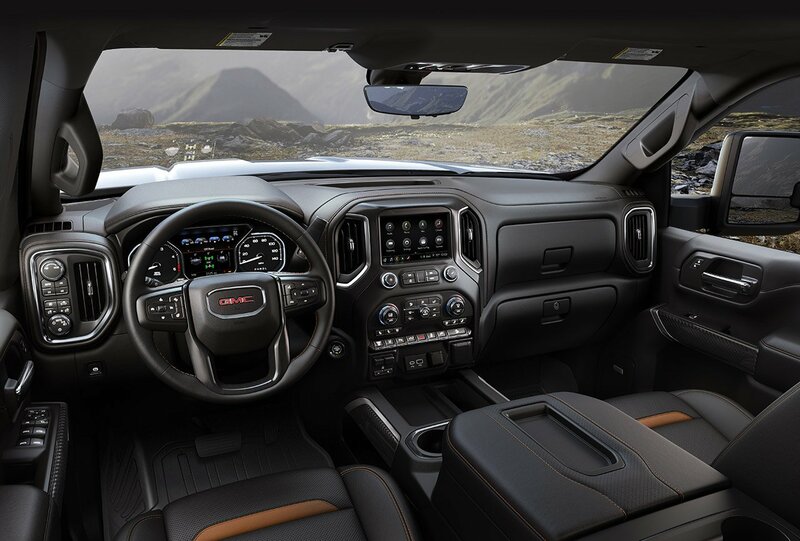 The exterior and interior design of the GMC Sierra HD will be similar to that of the 2019 Sierra 1500 but with a few minor tweaks. The HD gets a functional hood scoop, larger exterior mirrors, roof light markers, & a unique front grille. 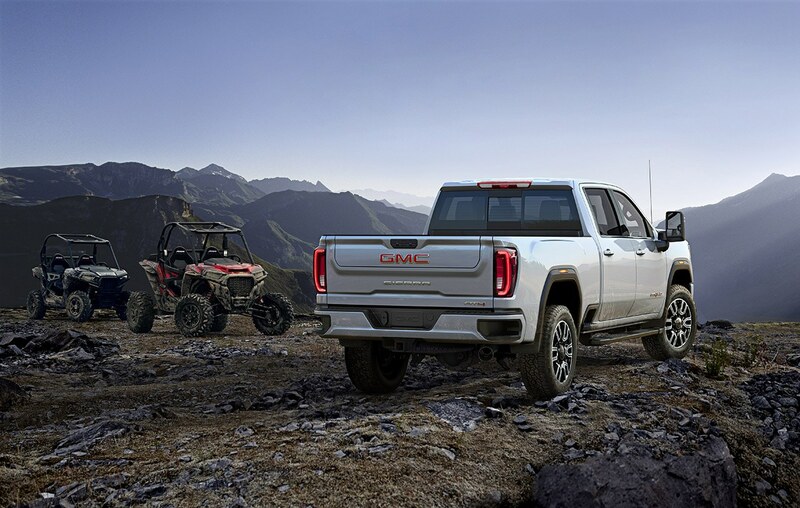 An AT4 trim will be available on the 2500HD and 3500HD which will add Rancho shocks, skid plates, Eaton locking rear differential, hill descent control, hill start assist, off-road mode traction control, and 18-inch wheels wrapped in Michelin all-terrain tires. 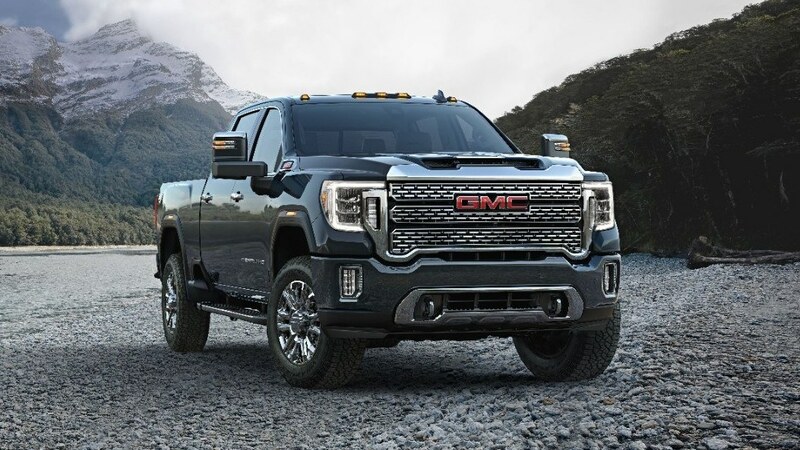 No word at the time of writing this article as to what the prices will be for the 2020 GMC Sierra HD but expect them to be similar to those of the 2019 Heavy Duty trucks. Expect to see the new trucks arrive in dealerships sometime in mid to late 2019.